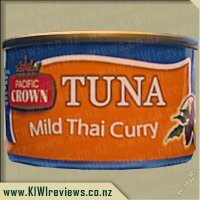 Delicate pieces of premium tuna in an appetizing mild Thai chilli sauce with a delicate hint of lime. 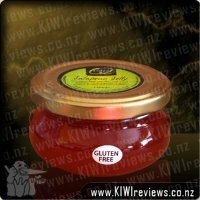 Ideal for sandwiches, savoury biscuit toppings or as a meal when served over rice. A healthy source of Omega 3, Pacific Crown tuna is wild caught using dolphin friendly methods. 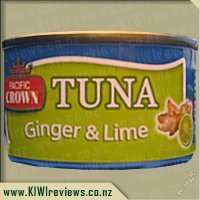 The sweet thai chilli and lime was the tuna I was more apprehensive about than any of the others that I got to review but I decided that I needed to just dive into it, rip it open and give it a try. I love how easy the tin opens up, some other brands I find tough to open but this is a breeze. The tin has a nice design and visually shows you what you might expect to find inside. I like that this is dolphin safe and supports sustainable fishing. 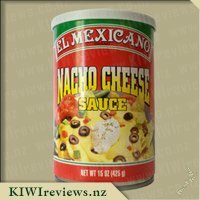 The can states that it is one serving but I was able to use this in four servings. The first two servings was just myself trying it straight, I couldn&apos;t resist, my eldest had a tiny taste but promptly spat it out as it was a little too hot for him. 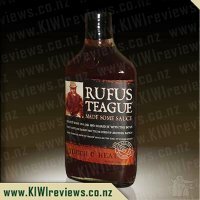 For my third serving I put some of this on a mini pizza along with sauce, cheese and bbq sauce, creating a really nice lunch. My fourth and final use for this was in a wrap with rice, some veges, mayo and bbq sauce, the tuna really added to it well and rounded it off really well. I really liked this, it gave me more than one serving as well as tastes pretty good, I think I&apos;ll be buying this again. We loved this one and I almost had to fight my teenager for it. The only disappointment was that we couldn&apos;t really taste the lime. She nicked off with the chilli as soon as the can was opened. We talked about the number of ways that this could be used and discovered one of them would be in salad, not that salad is typically a winter food. The chilli is pleasantly warm without being too hot or over powering. The other high contending way to have it if I wouldn&apos;t let her take it to school was on toast in the morning so that we could both enjoy it. The others in our household didn&apos;t get to try it as the can was even wiped out with a piece of bread. 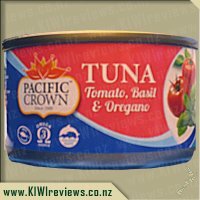 I would love to see pacific crown make larger cans especially of this as it is also awesome in tuna pasta bake. Pink is becoming a favourite colour in our house. My husband reckons that he&apos;s going to by a ton of them and hide them for his lunch so he can enjoy them at his leisure without losing an arm or leg over it. When this is on special I would say the shelves will be empty. 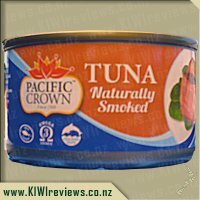 When I received this Tuna to review, I was a bit apprehensive as tuna has often let me down with bland flavours. But this was a welcome surprise! 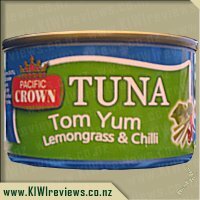 This tuna tasted exactly as described, with a mild-mid range chilli and a hint of lime. I had this tuna for lunch as a topping with a simple pasta salad I had bought from the supermarket. The tuna was very smooth to taste and full of flavour. I discovered a whole chilli in the can, which I didn&apos;t care for (so didn&apos;t eat) but that did give the good impression of natural flavouring. There was a little bit of oil in the can, but it wasn&apos;t a lot and easily tipped/drained out over sink if you didn&apos;t want to eat the oil. The can was a good size with an easy open peel open lid, comparable to other tuna cans on the market. The colouring of the can was good and easily recognisable with pink/red colours aligning to the thought of chilli. 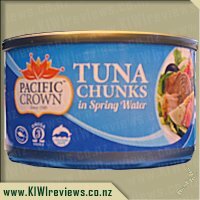 I would definitely purchase this tuna again, as I would like to try it with other foods, such as crackers or as part of a dip. Another great use would be in a wrap or tossed throughout a summer salad. I would recommend Pacific Crown Sweet Thai Chilli and Lime as a both a snack as a light meal. Flavoured tuna is one of those things I tend to have in my cupboard lots as their is always so many different uses for it, it&apos;s my go to lunch on crackers, toast or bread if I&apos;m in a hurry. Also great to add to pasta for a quick dinner or throw in a salad. 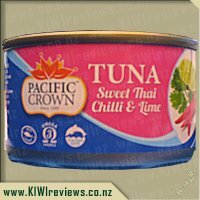 When the pacific crown tuna came up for review I was keen to give it a try as I&apos;m always looking for new flavours. First taste of the sweet thai chilli and lime and I was in love, in fact I&apos;ve already been out and brought some more to try in different ways. The blend of flavour in the tuna is just perfect I loved the hit of chili it had a good bite to it but not too hot. So far I have tried this flavour three different ways each one as popular as the other, first I simply cooked pasta and threw a tin in, was super simple and tasty all at the same time! 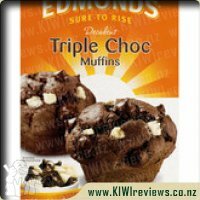 Next time I tried it was as a snack with a bit of tomato on crackers once again simple easy and tasty, hubby and I gobbled them down quickly and both made a grab for the last one. The size of the tin makes it perfect amount for crackers. Finally I tried it as a sandwich spread simply mixing it in with a bit of cream cheese, this work really well and sandwiches made in the morning were still nice and fresh rather than soggy which is the problem using straight tuna in them. As their is plenty of flavour in the tuna alone the cream cheese doesn&apos;t over power it. Now this is what I am talking about - a nice, clean, crisp taste that reminded me a lot more of the Thai flavours I like - that sharpness from the lime offset the bite of the chilli and complemented the smoothness of the tuna. This was the Thai flavour that I was hoping for. Heated up and served over rice, this was a really tasty dish that had enough spice to make it interesting, but not so much as to knock out the taste buds. I liked it so much, I bought the company... OK, a couple of extra cans then. 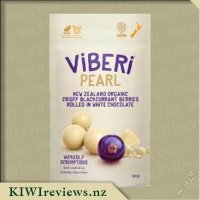 I have used this as a filling for a variant on Pork Buns (which have the filling baked into them) and they worked out so well I plan to make them a regular "treat snack"... probably only for me though, because despite being a &apos;sweet&apos; chilli, it was still too spicy for the rest of my family&apos;s preferences. Overall, this was one of my favourite flavours from the range, but I have a couple yet to try and I suspect &apos;first place&apos; could be fought over... can&apos;t wait to find out. 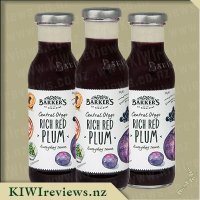 I would also like to see this flavour in larger servings - maybe a 200g can so I could make the Spicy Buns in batches of a dozen at a time, instead of needing to buy multiple tins. 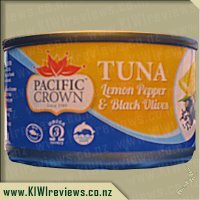 I was given some of this tuna to review and as my husband and I both enjoy flavoured tuna for a quick and easy lunch to take to work, I was keen to try out this flavour. My initial thoughts were that my husband wouldn&apos;t particularly like it, but I decided just to make him a salad wrap with it anyway and see what he reported back... hopefully he wouldn&apos;t starve! Neither of us are a fan of hot chilli so when I opened the can and saw a big chilli sitting on top, I was a bit worried and quickly checked the label again... yes it definitely said sweet chilli - whew. 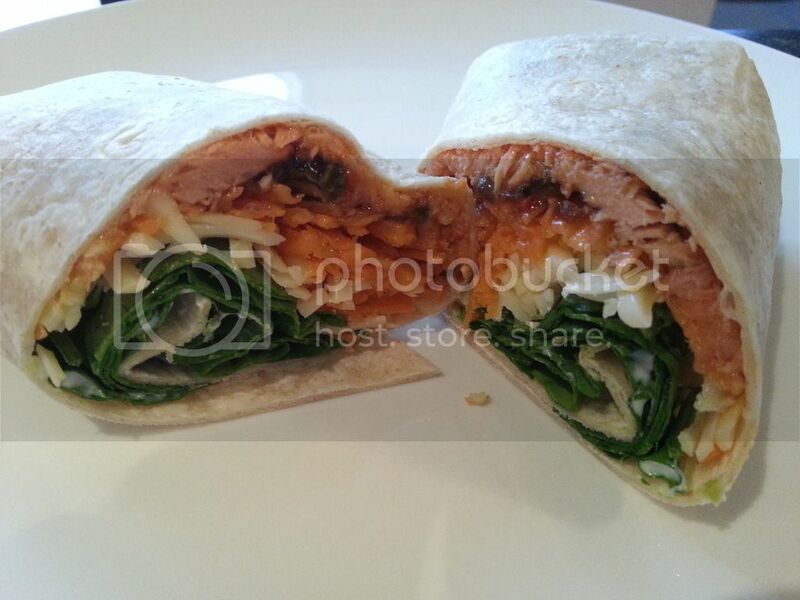 I chucked away the chilli though as didn&apos;t want our wraps to end up too hot. I ended up only using half of the small can for a half-wrap each for myself and my husband - so the small can goes a long way! I added relish, mayo and salad ingredients and come lunch time I got to eat it. It was absolutely delicious and I could definitely taste the hint of lime, but it wasn&apos;t too strong. I&apos;m glad to report the chilli wasn&apos;t hot either, although of course I&apos;d diluted it with lots of other ingredients. 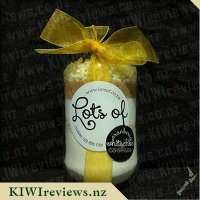 And surprisingly my husband reported back that he enjoyed his too - so much so that he&apos;d be happy if I purchased that flavour again, so that&apos;s a win for me. I&apos;ll be sure to buy this again as it&apos;s nice to have different flavours and switch things up a bit. Wickedly scrumptious and 100% Certified Organic.